Talk in any sort of depth about perfume and you will probably encounter the word, “Note”. So what are perfume notes, what are these things that list them, and how do they work anyway? A note in perfume refers to a single scent. Perfumes are made from many different notes blended together. 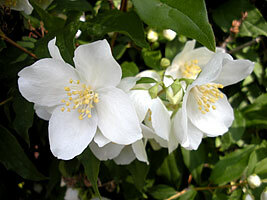 For example, jasmine is a note featured in Chanel No.5. Notes are categorized in layers, from top notes, middle notes, and base notes. Perfumes work through evaporation and it is often the top notes that evaporate first and are the first notes you smell when you spray or apply perfume. The evaporation is followed by the middle notes and finally the base notes. Contrary to popular belief, the perfume notes you see listed on perfume reviews, on the fragrance itself, or sites that sell perfume are not ingredients lists. They are also not 100% accurate descriptors of what the fragrance actually contains. Notes listings are used by the perfume reviewer or the marketers of the perfume to describe what you may experience when you use the scent. Many times these notes lists are missing many, many, many other scents in the perfume itself. Fragrances are highly complex and some can have hundreds of different scents in them and nothing, short of gas chromatography, will be able to tell you for sure all of the notes in a perfume. So with all this secrecy, what good are notes lists then? Simply put, notes lists help consumers imagine what a fragrance might smell like and help them determine if they would like that scent. While you cannot instantly know what a fragrance smells like until you stick your nose in, you can get a general idea using a notes list–most of the time. Notes can also help guide people through the progression of a fragrance by giving them a general idea of what they might be smelling. In the end, notes are a mechanism for giving perfume sniffers an idea of what they’re experiencing. But they shouldn’t be used as a be all and end all list of ingredients because they aren’t. This entry was posted in informational and tagged are, base, fragrance, middle, notes, perfume, scent, smell, they, top, what. Bookmark the permalink.